So when planning out my "fantasy talk show" first I decided that it would have to be in the evenings... but not late night :) Dave suggested the name "After School With Andrea" and so I'm running with that. 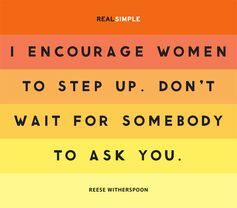 First up on my list is Reese Witherspoon. I've admired her IMMENSELY both as an actress and an advocate for women and girls and she has always seemed so down to earth and unjaded by the extremely public life she lives. I love that when she got upset about how not a single studio was working on a film with a female lead she didn't whine or wallow, she did something about it and started her own production company. "We deserve better," she said. "It’s great to speak up, but what I really think is you’ve got to do something." I also love that she partnered with other high profile women as part of the #askhermore campaign during Hollywood's Awards Season. Encouraging the media to focus on what causes women support, what they've accomplished and what they're passionate about instead of simply what they're wearing is such a strong message to send and I love that she did it so boldly. Laura Bush is next on my list because I think that she is so elegant and poised while still seeming warm and approachable. I would love to hear her perspective on her time as First Lady and would most definitely like to pick her brain as an educator. As refined and poised as she always appears, I loved reading that as First Lady of Texas she preferred grungy Mexican restaurants, shopped at Wal-Mart and flew on budget airlines. My hope would be that Mrs. Bush would show up with a bag of gas station tacos to share. hahaha (PS - some of the best tacos I've had are from the back of a gas station here in McKinney). Dave is pretty insistent that Denzel Washington make an appearance on my talk show and I'm happy to oblige ;) I mean - how awesome is Denzel? I'd love to hear his take on being a Christian in Hollywood and the interviews that I've heard with him have always been great. I'd probably want to craft with Martha Stewart as well. And since we're talking about Julia Roberts, let's have her on as well. We'd talk about it all... Steel Magnolias, Pretty Woman, My Best Friends Wedding, her kids, her life in Taos, etc. Pretty sure we'd be besties. Aside from celebrity guests, I'd definitely want to have lots of "regular" people who lead extraordinary lives. People with awesome stories/causes/organizations. I'm a sucker for a great human interest story and would have to have lots of those guests as well. And there would HAVE to be musical acts... Adele, Jennifer Hudson, Maroon 5, etc., etc., etc. I can't wait to see who everyone is inviting onto their shows today! Link up below and let us know! What a great list of guests! And of course you have to have musical acts! lol! Love it! I would so watch your show, I bet you would be hilarious!! I feel like you would need to end the show with Jimmy Fallon and JT doing whatever they wanted to do! Love all your guests!! Did you see my cohost would be Jenna Bush?! love the Bush family!